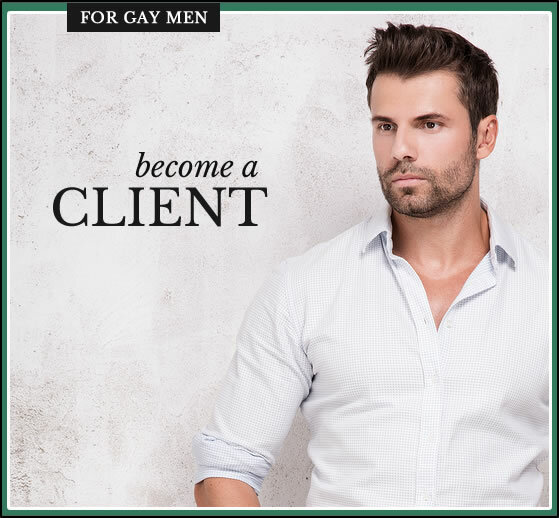 You are a successful gay man looking for a committed, romantic relationship. Your time is precious and you are done wasting it on non-compatible connections. The kind where you go online hoping to find Mr. Right only to be presented with yet another meaningless sexual encounter. Or you are stuck on a date with someone who doesn’t even come close to their profile photo. Perhaps, you’ve recently come out or you are newly single, and you’re sick of swiping right or showing up at another bar or club hoping to find the man of your dreams – it’s just not your scene. Our answer would be, “Absolutely not.” Finding that connection – that relationship – is exactly what we do. We rigorously pre-screen every potential match for the highest standards to eliminate the hook-up seekers and the flaky men. We make it out our job to dig beyond physical attraction. We work to align the kind of guy you want (looks, type, and personality) with your values for long-term compatibility. By honestly getting to know our clients, we develop a deep relationship combined with the utmost professionalism and 100% confidentiality. It’s a unique level of constant support coupled with personalized attention for real results that you simply won’t find anywhere else. To find out how we can best serve you, please fill out the application form below.